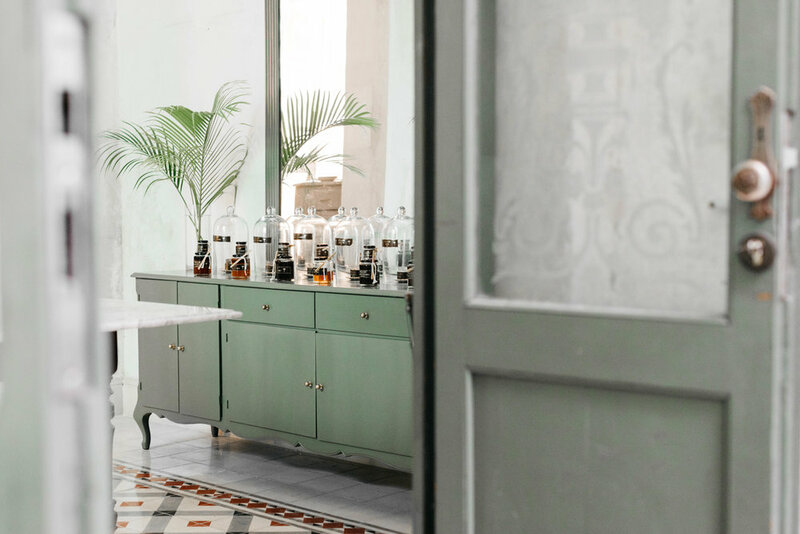 Within the Coqui Coqui Residences & Spa portfolio, Merida’s L’Epicerie balances the vibrancy of the metropolis with the charm of a hidden century-old colonial home. 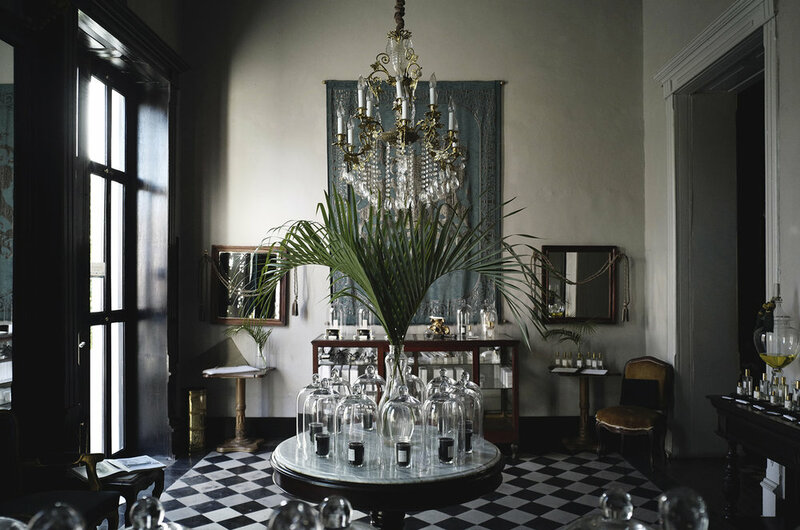 The decadent belle époque building is a beautiful escape from the bustling, vibrant city streets of Merida. You will experience the atmosphere of our boutique, with its high-end local handcrafts, the timeless style of the Epicerie, with the smell of steaming herbal & floral infusions or the tasteful selection of gourmet cacaos and honeys, along with an unique urban spa, all of which will transport you back in time to the "White City" in its prime opulence. As the colonial capital of the Yucatan Peninsula, Merida was once home to the greatest concentration of wealth in Mexico. Once dilapidated, this city has maintained its grandeur and air of sophisticated elegance. The sisal barons of the 19th century commissioned Parisian architects to build opulent villas along Paseo Montejo and buildings scattered at the heart of the city. 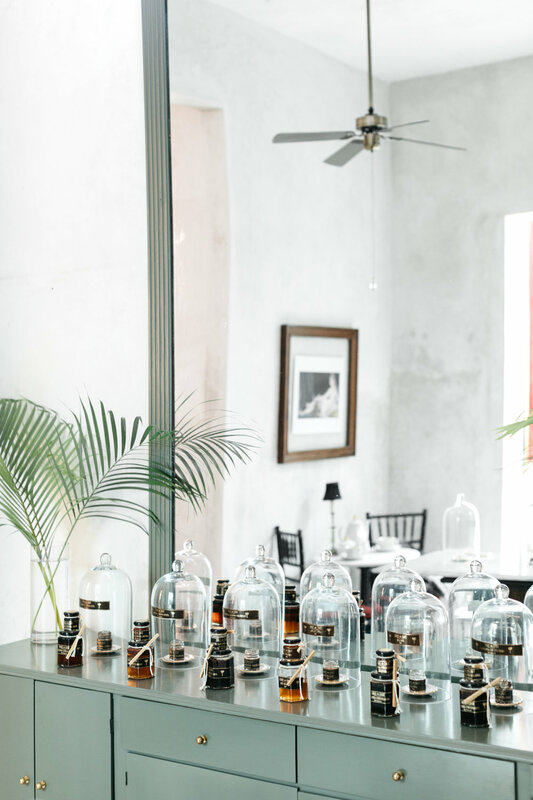 The ‘White City’ is the perfect home for Coqui Coqui’s L’Epicerie. The inland city of Merida and its fading glamour has attracted artists and bohemian sophisticates, who have settled down within the city to restore dilapidating buildings and give them a fresh allure. Merida is experiencing a cultural renaissance and a slow revivification of its affluent apogee. Located in the midst of the zocalo or historical city center just a few steps away from the busy Santa Lucia Square, the beautiful Coqui Coqui Merida is set within a 1903 townhouse, reminiscent of the Belle Époque era. The decadent one-suite residence houses our signature perfumery, spa, boutique, café & salon degustacion. 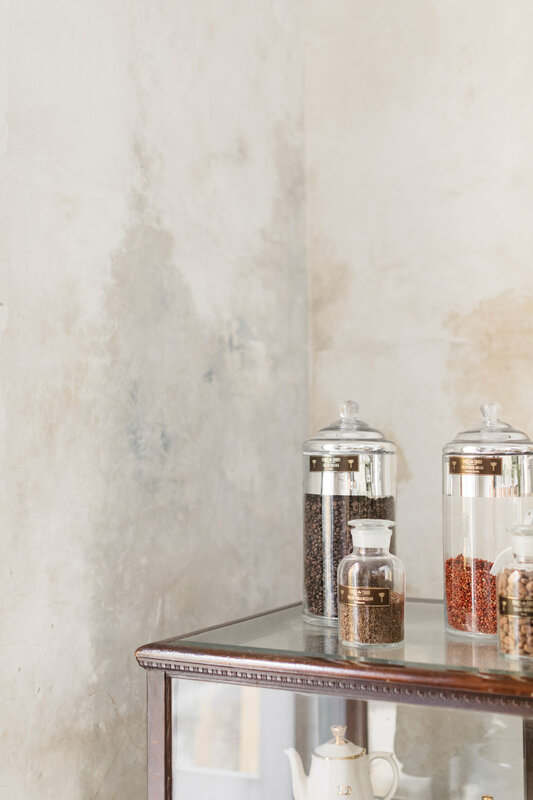 With intricately decorated tile floors and elegant details, the high-ceilinged perfumery offers the full line of Coqui Coqui’s selection of perfumes and fragrances. Beyond the heavy, velvet drapes the boutique features Coqui Coqui Oficios Artesanos, our clothing, homewares, and travel essentials line that’s been meticulously curated with our hand-crafted selection of national artisanal items. 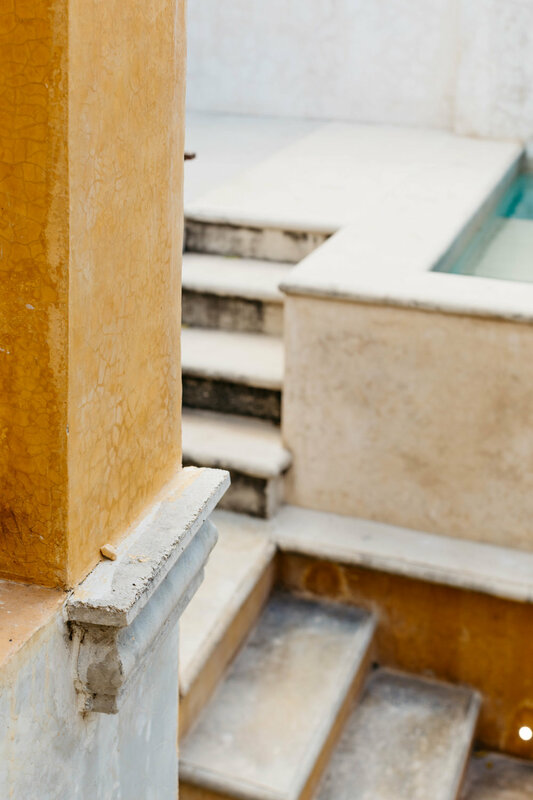 Venture a bit further into the indoor patio where the L’Epicerie café is found and enjoy a freshly-brewed cup of coffee while being soothed by the delicate sound of running water from the fountain. Taste our line of handmade honeys, tisanas, and chocolates from our salon degustacion artisanal food items. On the roof, you’ll discover the ornately decorated one-room private suite with an open living room, terrace and private rooftop pool to enjoy. Rich velvet drapes in deep jewel tones, period furniture with plush burgundy upholstery, golden accents, antique mirrors and selection of coffee-table books make-up the sumptuously luxurious decor. A large iron four-post bed balances the two freestanding French bathtubs, situated elegantly within the room and creating the perfect setting for a uniquely romantic experience. From the cultural offerings, to local craft markets, bustling gastronomic scene and distinctive architecture, Coqui Coqui Merida offers the perfect backdrop and base for exploring the unique opulence and decadent glamour of this historical Yucatán city.